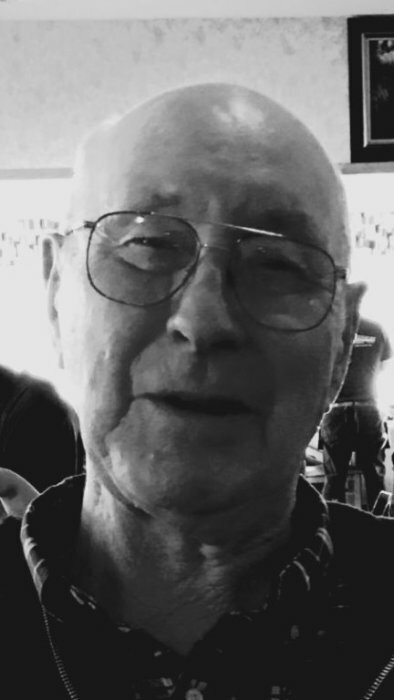 Charles Stephen Burger age 92 died peacefully and at peace with God at Omega House in Houghton, Michigan April 14, 2019. Charles was the only son of Dell and Elnora (Vaughn) Burger was born April 23, 1926 in Flint Michigan and the youngest and last surviving sibling of five children. .
Dad lost Norma (Huntington) his wife and love of his life and our mother December 15, 2013. Dad’s ashes will be spread with Mom’s to symbolize their life together forever “on earth as it is in Heaven”. Charles is survived by five children, Charles L. (Grace Sipola) Toivola, MI, Debra Stefanich Hancock, MI, Lynn Burch (James) Bedford,IN, Bruce (Joy Lynn Dickinson) Clio,MI, and Gail Burger Montrose,MI. Dad has seven grandchildren, twenty three great grandchildren, and two great-great grandchildren. He has witnessed the gravity of the legacy of being pictured in two photos showing five generations of family. Dad is a World War II veteran paratrooper who served in France and later retired from the service as a Master Sergeant in the U.S. Army Reserve after 20 years. Charles was an active member of Gideons, Habitat for Humanity, the Clio MI. school board, Big Brothers, Big Sisters of Greater Flint MI., and his various church memberships. The family requests that any memorials be sent to a charity of the donor’s choice in honor of Charles S. Burger. Memorial Service(s) plans are pending. The O'Neill-Dennis Funeral Home of Hancock is serving the family. To leave online condolences, please go to www.oneilldennisfh.com.